For years, the special teams of the New York Giants had been far from special, costing the team a number of games each season, often in painful fashion. New Head Coach Pat Shurmur chose not to bring back long-time special teams coordinator Tom Quinn and hired Thomas McGaughey to be the new coordinator and Anthony Blevins as his assistant. However, since McGaughey was diagnosed with cancer during the offseason, Quinn was retained as “assistant special teams coordinator.” Obviously, this was far from an ideal situation. Making matters worse is the Giants were rolling the dice again on talented, but extremely inconsistent place kicker Aldrick Rosas, who only converted on 72 percent of his field goal attempts and 87 percent of his extra point attempts in 2017. The Giants cut Brad Wing in March and traded for another punter, Riley Dixon, in April. And it was anybody’s guess who would be returning kickoffs and punts. Ironically, in the end, special teams ended up being the team’s strongest unit in 2018. Overshadowed by Saquon Barkley, Rosas had the best year of any place kicker in team history, only missing one field goal all season. Dixon finished 7th in net punting. The Giants were 7th in the NFL in kickoff returns (24.4 yards per return) and 28th in punt returns (6.2 yards per return). 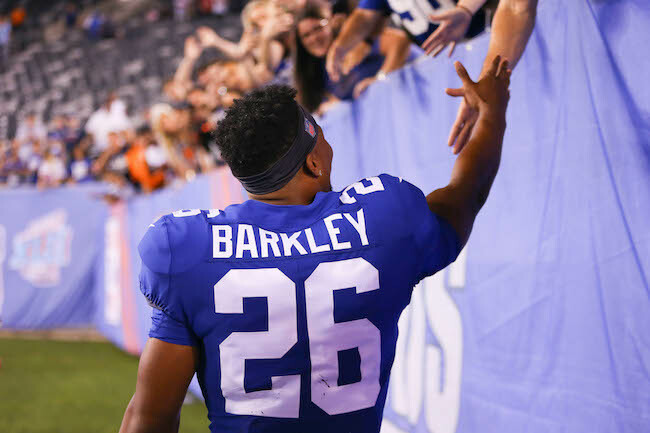 The Giants were also 2nd-best in defending kickoff returns (20.4 yards per return) and 7th-best in defending punt returns (6.6 yards per return). The Giants did not return a punt or kick for a touchdown and they did not allow a punt or kick to be returned against them for a touchdown. Two Giants made the Pro Bowl as special teams players, Rosas and first-team alternate Michael Thomas, who led the team with 12 special teams tackles. Other leading tacklers included Kerry Wynn (8), Kenny Ladler (8), Nate Stupar (8), and Russell Shepard (6). The Giants special teams held up their end of the bargain in 2018. Rosas also deserves far more attention than he received. Eight Giants returned a total of 45 kickoffs in 2018. Twenty-three of those were returned by Corey Coleman, who the Giants signed to the Practice Squad and then the 53-man roster in October. He ended up playing in eight games with one start, finishing with five catches for 71 yards. Coleman’s primary contribution came on special teams as as kickoff returner (averaging 26 yards per return). The 5’11”, 185-pound Coleman was originally drafted in the 1st round of the 2016 NFL Draft by the Cleveland Browns. An explosive athlete but an injury-plagued bust in Cleveland, Coleman has also had brief stints with the Buffalo Bills and New England Patriots in 2018. Coleman has played in 27 NFL games with 19 starts, accruing 61 catches for 789 yards and five touchdowns. Six Giants returned a total of 37 punts in 2018, with Jawill Davis returning 12 punts and Quadree Henderson returning nine. The Giants signed Davis as an undrafted rookie free agent after the 2018 NFL Draft. He was signed to the Practice Squad after the final preseason cutdown and then signed to the 53-man roster in September. Davis injured his knee during the last practice of the year and was placed on Injured Reserve before the last game. Davis has average size, but he is a good athlete with excellent speed. He played in seven games for the Giants, catching four passes for 40 yards. He also returned 12 punts (7.4 yards per return) and seven kickoffs (24.4 yards per return). The Giants placed Henderson on Injured Reserve in late November 2018 with a fractured shoulder. The 5’8”, 192-pound Henderson was originally signed as an undrafted rookie free agent by the Pittsburgh Steelers after the 2018 NFL Draft. The Steelers waived him before the season started. The Giants signed Henderson to the Practice Squad and then the 53-man roster in October 2018, and then back to the Practice Squad and the 53-man roster again in November. Henderson played in five games for the Giants and returned five kickoffs (22.4 yards per return average) and nine punts (7.6 yards per return average). 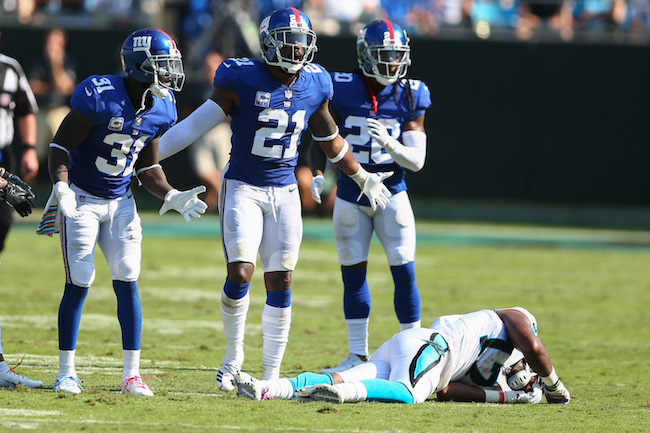 Only a few years ago, in 2016, the secondary of the New York Giants was not only considered the strength of the defense, but probably one of the better secondaries in Giants’ team history. Three Giants defensive backs were legitimately named to the All-Pro team that year: Janoris Jenkins, Dominique Rodgers-Cromartie, and Landon Collins, the latter making a strong run for “Defensive Player of the Year” honors. The Giants finished 10th in total defense that season and 2nd in scoring defense. But the secondary has quickly deteriorated since that high point. Despite continuing to earn League honors, Collins has obviously regressed and not made the same impact, also finishing the past two years on IR. Jenkins missed half the season in 2017 and did not play as well in 2018. Rodgers-Cromartie stopped making plays and was cut in March 2018. Making matters worse was that the surrounding talent in the secondary and arguably across the entire defensive unit has gotten worse. As a result, the Giants finished 24th in total defense and 23rd in scoring defense in 2018. Once you got the past the headliners in Jenkins and Collins, the rest of the defensive back crew was a nondescript group of no-names and castoffs. The Giants admitted to another draft disaster, trading Eli Apple, the 10th overall pick in the 2016 NFL Draft, to the New Orleans Saints for 4th- and 7th-round picks in late October. The rest of the unit was manned by players such as B.W. Webb, Grant Haley, Antonio Hamilton, Tony Lippett, Curtis Riley, Donte Deayon (waived in October), Michael Jordan (waived in October), Michael Thomas, Sean Chandler, Kenny Ladler, and Kamrin Moore. Who? Most fans never heard of any of these guys before 2018 and most of them will probably not be on the team in 2019. In a way, it’s a minor miracle that the secondary was not more abused than it actually was. In a nutshell, strong safety Collins was disappointing and had issues in coverage. Riley was terrible at free safety. Reserve safety Thomas was a good special teams player, but not starting material. Jenkins was decent but still gave up two many big plays. Webb surprisingly held his own for much of the season, but really faded down the stretch. Undrafted rookie free agent Grant showed some promise as a nickel corner but didn’t make many plays on the football. The Giants signed journeyman B.W. Webb in March 2018 after he was cut by the Cleveland Browns. Webb not only made the team, but he had his best pro season, surprisingly starting 13 of the 16 games he played in, and finishing with 59 tackles, 1 sack, 6 pass defenses, 1 interception, and 1 forced fumble. Webb did a decent job for most of the season before fading late, giving up a number of big plays. The 5’11”, 190-pound Webb was originally drafted in the 4th round of the 2013 NFL Draft by the Dallas Cowboys. Webb has spent time with the Dallas Cowboys (2013), Pittsburgh Steelers (2014), Tennessee Titans (2015), New Orleans Saints (2016), Chicago Bears (2017), and Browns (2017). Webb has played 65 regular-season games with 23 starts. Despite being voted to the Pro Bowl three times from 2016-2018, Landon Collins has not been able to replicate his breakout performance in 2016. He finished both 2017 and 2018 on Injured Reserve, first with a fractured forearm and then with a partially-torn rotator cuff. Both injuries required surgery. On top of the injury issues, Collins has struggled more in coverage against better athletes. In 2018, Collins started all 12 games he played in, finishing with 96 tackles, 4 pass defenses, and 1 forced fumble. Collins was drafted in the 2nd round of the 2015 NFL Draft by the Giants. During his All-Pro 2016 season, Collins started every game and finished the year with 125 tackles, four sacks, 13 pass defenses, and five interceptions. Collins is a big, tough, physical safety who lacks ideal quickness and recovery speed and thus is better suited for strong safety. He did not make many plays on the football in 2018. Collins is good hitter and tackler and plays the run very well. The Giants signed Curtis Riley as an unrestricted free agent from the Tennessee Titans in March 2018. Riley surprisingly started all 16 games at free safety, finishing with 75 tackles, 5 pass defenses, and 4 interceptions (including one returned for a touchdown). However, he was often a liability against both the run and the pass. The 6’0”, 190-pound Riley was originally signed as an undrafted rookie free agent by the Titans as a cornerback after the 2015 NFL Draft. Riley spent his rookie season on Injured Reserve with an ankle injury. He played in four games in 2016 and seven games in 2017 with no starts. While Riley is a former cornerback with good athleticism for the safety position, he lacks the instincts, aggressiveness, and physicality required to play safety in the NFL. After 24 years of playing in the 4-3 defense, the New York Giants shifted back to a 3-4 defense that emphasized the pass rush coming from the outside linebackers rather than the defensive ends. 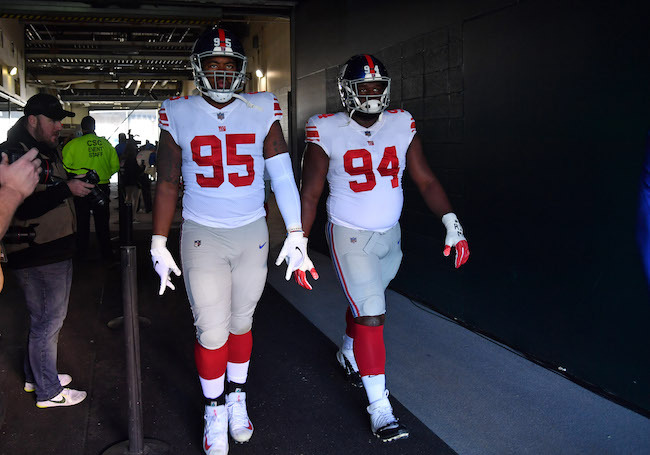 It was anticipated that the big, strong, tackle-like trio of nose tackle Damon Harrison and ends Dalvin Tomlinson and B.J. Hill would dominate the line of scrimmage. While the defensive line was arguably the strongest unit on a disappointing defense, more was expected. Harrison was surprisingly traded away in late October after a dreadful 1-6 start. The Giants publicly claimed this was done to move Tomlinson and Hill to more natural positions, but there was also speculation, fueled by senior official comments of bad team chemistry, that the Giants considered Harrison a locker room cancer. Team defense “improved” from 31st in 2017 to 24th in 2018. The Giants were 20th in run defense in 2018, allowing over 118 yards per game and 4.3 yards per rush, which were very similar to their 2017 numbers. Of course, much of the blame for this disappointing result must also rest with the linebackers and defensive backs, who were often out of position and missed too many tackles. In January, Dave Gettleman chalked up 2018 as a valuable learning experience for the young linemen. When we traded Snacks, part of the issue when Snacks was here was he played the one (technique), we had Dalvin playing the three (technique), and B.J. playing the five technique. Well, Dalvin’s a one technique and B.J.’s a three, so I’m very pleased with the change… B.J. came a long way. Pass rush is critical, as I’ve stated it a million times as we all know. B.J. had, I think, five and a half sacks, so he made some progress inside. Dalvin did what he does at the one, so for us, it worked out and those young guys are getting snaps. That’s the only way they’re going to get better. There’s a theory out there that young guys, once they get to 5,000 snaps, that’s when they’re really ready to rock and roll and that includes practice and game snaps and all that. I don’t know if I subscribe to it, but I’m just throwing it out there. Overall, the run defense was not as good as expected. And while there were flashes here and there, particularly from Hill, there were no consistent pass rushers in this group. The Giants signed Josh Mauro as an unrestricted free agent from the Arizona Cardinals in March 2018 after he was cut by the Cardinals. He was suspended for the first four games of the 2018 NFL season by the NFL for the use of performance-enhancing drugs (PEDs). Mauro played in the 12 remaining games, with four starts, finishing with 28 tackles and one sack. The 6’6”, 290-pound, English-born Mauro was originally signed as an undrafted rookie free agent by the Pittsburgh Steelers after the 2014 NFL Draft. He did not make the team, but was signed by the Cardinals after he was cut. In four seasons with the Cardinals, Mauro played in 47 regular-season games with 26 starts. Mauro is a hard-working run player who does not get much heat on the quarterback (only three career sacks). 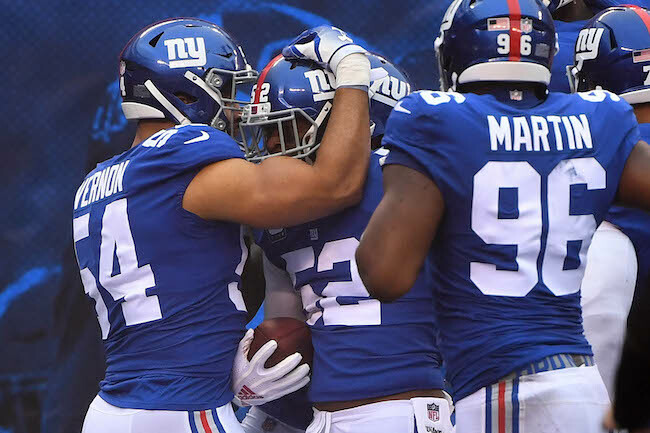 In his fifth season with the Giants, Kerry Wynn started five of the 14 games that he played in, finishing with 39 tackles, 1.5 sacks, 2 pass defenses, and 2 forced fumbles. Wynn was originally signed as an undrafted rookie free agent by the Giants after the 2014 NFL Draft. He has played in 63 regular-season games, with 15 starts. Wynn has a nice combination of size, strength, and overall athletic ability. Wynn is a better run defender than pass rusher as he lacks dynamic quickness on the outside pass rush (just 4.5 career sacks). He is able to play defensive tackle in pass-rush situations. Wynn flashed more in 2018 than he has in previous regular seasons. The Giants claimed Mario Edwards off of waivers from the Oakland Raiders in September 2018. He served as a primary back-up, playing in 15 games with no starts, and finishing the year with 14 tackles, 2 sacks, and 1 forced fumble. The 6’3”, 280-pound Edwards was originally drafted in the 2nd round of the 2015 NFL Draft by the Raiders. He missed most of 2016 with a hip injury. In three years with the Raiders, Edwards played in 30 regular-season games with 24 starts. While a disappointment in Oakland, Edwards is a good athlete who flashes against both the run and the pass. 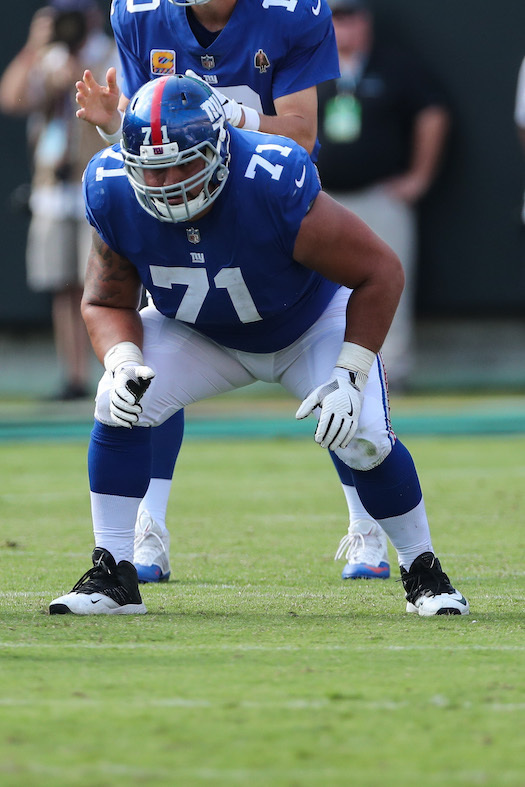 The Giants signed Myles Humphrey to the Practice Squad in October 2018. Listed as a defensive end, the 6’3”, 238-pound Humphrey originally signed with the Baltimore Ravens after the 2018 NFL Draft. He spent most of September on the Ravens’ Practice Squad. 31st in field goal percentage (72 percent). 32nd in extra point percentage (87 percent). 32nd in net punting (38.6 yards per punt). 28th in kickoff returns (19.6 yards per return). 31st in punt returns (5.5 yards per return). 14th in kickoff coverage (20.5 yards per return). 27th in punt coverage (10.4 yards per return). 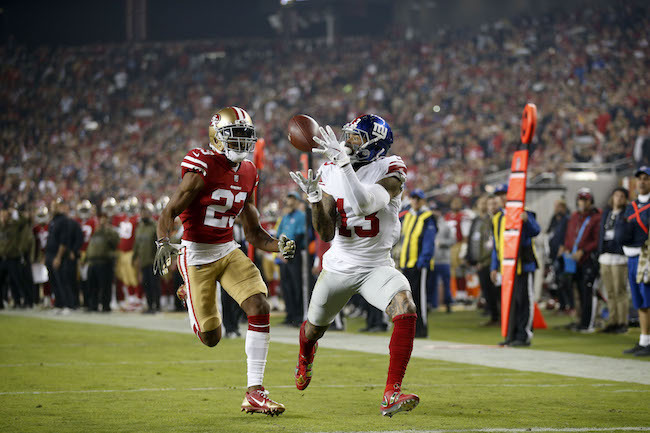 In short, the Giants were a train wreck on special teams. ADDITIONS/SUBTRACTIONS: Punter Brad Wing’s statistics plummeted in 2017 and the Giants cut him in March. Punt/kickoff returner Dwayne Harris spent most of the season on IR and was also cut in March. Place kicker Marshall Koehn was signed in January 2018. The Giants acquired punter Riley Dixon by trade from the Denver Broncos shortly before the draft. The Giants also signed punter Taylor Symmank in June. TRAINING CAMP STORY LINES: Enter Thomas McGaughey as the team’s new special teams coach. Ironically, McGaughey served under Tom Quinn from 2007 to 2010. Even more ironically, the Panthers decided to let McGaughey walk when his contract expired as they wanted to promote former Giants’ linebacker Chase Blackburn to the position. Riley Dixon replaces Brad Wing as punter. Both players were acquired by trade. Hopefully, Dixon works out better than Wing did. The 6’4”, 221-pound Dixon was originally drafted in the 7th round of the 2016 NFL Draft by the Broncos. In 16 regular-season games as a rookie, Dixon punted 89 times and averaged 45.7 yards per punt (41.3 yard net). He was named to the all-rookie team. In 2017, Dixon punted 73 times and averaged 45.6 yards per punt (40.2 yard net) with two blocked punts. The 6’2”, 195-pound Taylor Symmank was not drafted in 2016. The Minnesota Vikings signed him in January 2017 and waived him in early September of that year. Symmank punted nine times during the 2017 preseason, averaging 42.9 yards per punt. More media and fan focus is likely to be on Aldrick Rosas. 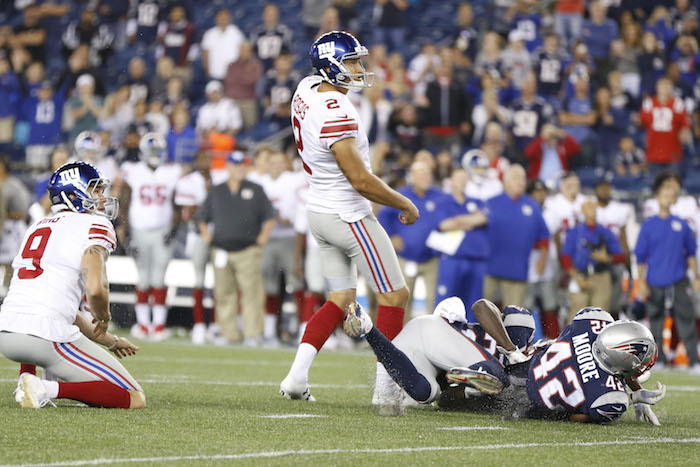 The Giants gambled on the green kicker in 2017 and got burned. Rosas was 17-of-25 (72 percent) on field goals and 20-of-23 (87 percent on extra points). Most alarming was his inconsistency on field goal attempts from 30 to 49 yards out, where he was 7-of-14 (50 percent). 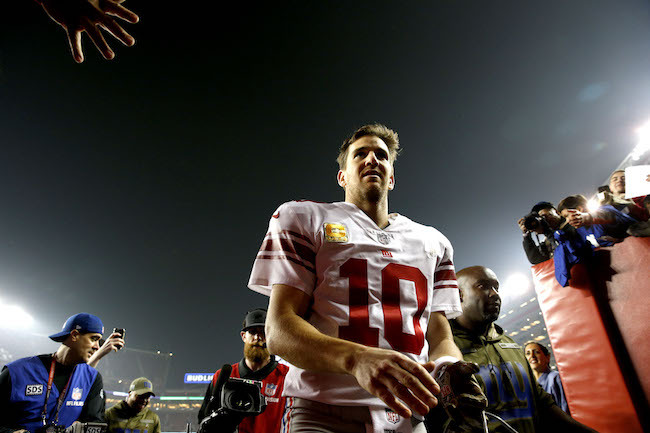 Somewhat surprisingly, the Giants still have not signed a veteran to compete against him. Marshall Koehn was originally signed by the Miami Dolphins as an undrafted rookie free agent after the 2016 NFL Draft. He has spent time with the Dolphins (2016), Minnesota Vikings (2017), and Cincinnati Bengals (2017), but he’s played in only one regular-season game with no field goal attempts. So the new coaching staff also appears enamored with Rosas’ potential. Will their patience pay off? With Dwayne Harris gone, it is not clear who will return kickoffs and punts for the team in 2018. The diminutive Kalif Raymond ended up the leading kickoff and punt returner last season, but there is no guarantee that he will even make the 2018 squad. Even if he does, ball security is an issue with him as Raymond has seven fumbles in his 12 NFL regular-season games. The good news is that it appears the Giants made a conscious effort to sign good special teams players in the offseason, including wide receiver Russell Shepard, safety Michael Thomas, wide receiver Cody Latimer, and cornerback Teddy Williams. ON THE BUBBLE: Everyone. Kickers don’t need to know schemes or playbooks. They are easily replaceable if a decent one hits the waiver wire. The 2019 7th rounder the Giants gave the Broncos for Riley Dixon is a conditional pick. So he’s not safe. The Giants kick and punt returners also may not be on the roster yet. PREDICTIONS: Special teams studs Cody Latimer and Mike Thomas should really help the coverage units. More linebackers on the roster such as Lorenzo Carter should also help. Riley Dixon most likely will be the punter. 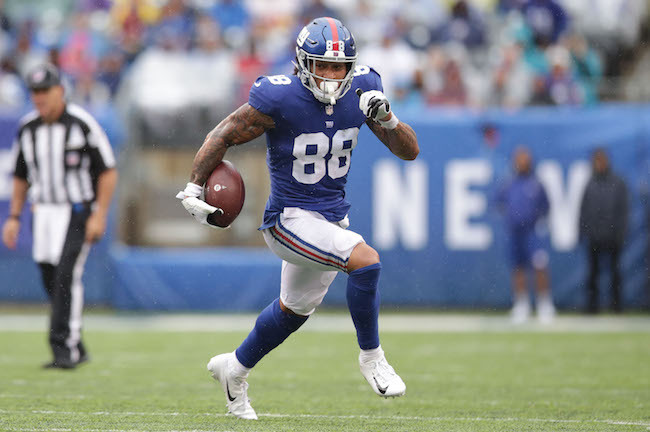 If Aldrick Rosas is shaky in the preseason, look for the Giants to make a move either by trade or picking up a discarded veteran. Who returns kickoffs? Who returns punts? With so many unknowns, Thomas McGaughey is not in an enviable position. FINAL DEPTH CHART: At this point, it would appear Riley Dixon will be the punter. 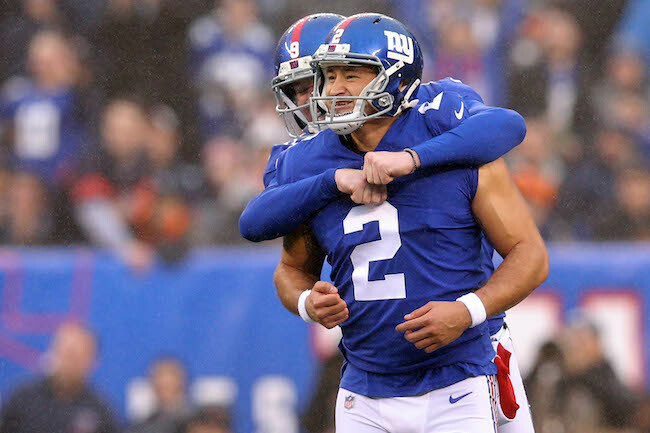 The Giants obviously are pulling for Aldrick Rosas to nail down the place-kicking job. Are the returners even on the roster? If the answer is yes, Kalif Raymond probably makes the team.